I am qualified as an MD with a good degree at THE MEDICAL COLLEGE, DAMASCUS UNIVERSITY, June 1970. At SYRIA Pre-registration HO in rotating job of medicine and surgery and obstetrics and gynecology in the National Health Hospitals in Aleppo - Syria. 15 months as GP in private clinic in Aleppo - Syria. 1/12/1971 to 29/05/1972 SHO in Accident and Emergency and Orthopedic Department NORTHAMPTON GENERAL HOSPITAL NORTHAMPTON. 30/05/1972 to 1/12/1976 obstetrics and gynecology at ABERDARE GENERAL HOSPITAL AND GRIMSBY MATERNITY AND GENERAL HOSPITALS AND BOLTON GENERAL HOSPITAL. I was registered with the GENERAL MEDICAL COUNCIL Registration NO. 71/1678, and the MEDICAL PROTECTION SOCIETY LIMITED NO.92043. 10/05/1977 I passed an examination and was qualified to register as a specialist in obstetrics and gynecology at Damascus University, and up to now I am working in a private clinic and private hospital as Consultant Obstetrician. & Gynecologist. 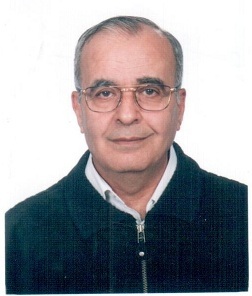 Lecturer at Aleppo Health Institute 1994-1997 Dar Al Shiffa Hospital Manager Director 1982-1988. Marashi Hospital Manager Director since 1988. الدكتور محمد أسامة مرعشي من مواليد حلب سوريا عام 1944. خريج جامعة دمشق MD كلية الطب عام 1970. عمل في بريطانيا من عام 1971 إلى نهاية عام 1976 في التوليد وأمراض النساء وجراحتها. اجتاز امتحان التسجيل كأخصائي في التوليد وأمراض النساء وجراحتها عام 1977 ومارس اختصاص الجراحة النسائية والتوليد كاستشاري في مشافي حلب. أسس مشفى دار الشفاء بحلب عام 1981. أسس مشفى المرعشي بحلب عام 1988. محاضر في المعهد الصحي بحلب منذ عام 1994. له عدة منشورات أبرزها قاموس مرعشي الطبي الكبير والمتوسط والصغير في دار مكتبة لبنان ناشرون – الطبعة الأولى 2003.